OCD people …… this bag is for you!!!! All of your costumes: shoes, make-up, hair accessories, snacks and LOADS more all in one place. 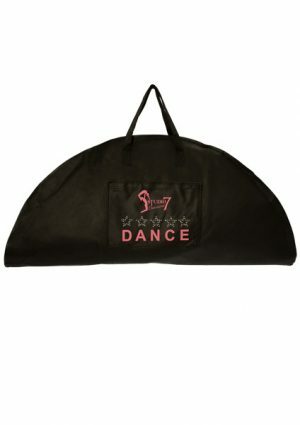 Can being a dance mum/dad get any easier with the Pack & Roll Dance Bag. The Pac & Roll is also ideal for travel or work ……. your own portable wardrobe. Medium size – 650mm x 400mm x 440mm. Holds up to ten costumes. 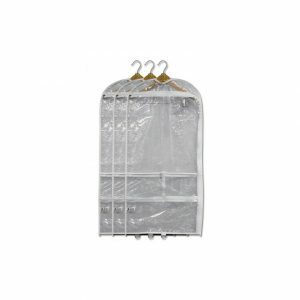 Vertical bar on the hanging rack includes a ‘lock pin’ safety feature. 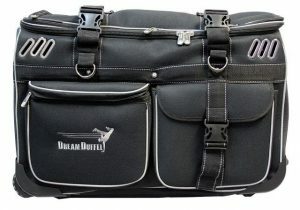 Bag has four wheels and a draw bar, making it easy to move and handle. 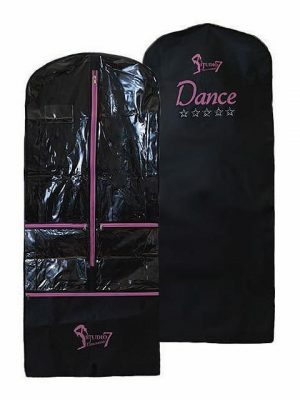 Snack pocket is insulated to keep your snacks and drink cool and away from costumes. Shoe pocket with dividers, making sure they are easy to find. Mesh pockets on the inside to keep things organised. Removable ID patch for personalisation. Add a name and/or dance school.